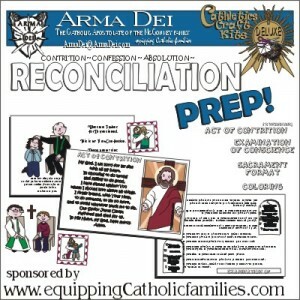 Equipping Catholic Families…for the Ascension of the Lord! 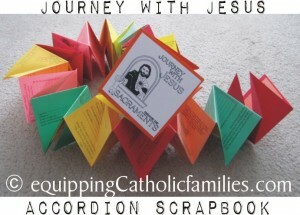 Feast Day Crafts and Activities for the Ascension of the Lord! 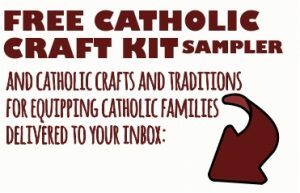 Excerpts from A Treasure Chest of Traditions for Catholic Families , various posts at Equipping Catholic Families and our Saint Scripts Craft Kits (Series ONE and TWO) and Saint Scripts THREE! 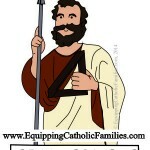 May 10th is the 40th day of Easter…and the Feast of the Ascension of the Lord! Woah! 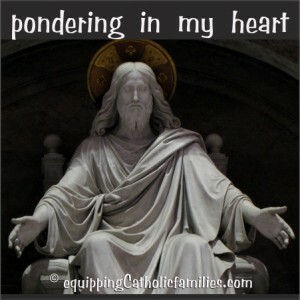 What must the Ascension have been like…for the Apostles standing by? 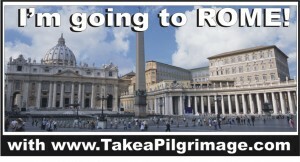 What a wild roller coaster the Apostles have been on! 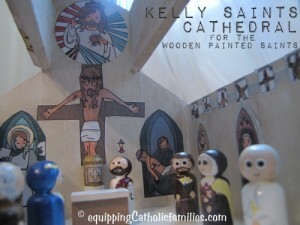 No matter how much Jesus tried to teach them, nothing could have prepared them for the Passion of our Lord! He had told them about the Resurrection, but how much could they have possibly understood this unprecedented event!? 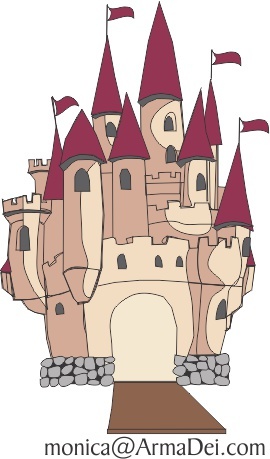 Hidden in the Upper Room, no doubt precariously trying to hold each other up in their shared grief, Jesus appears to them in His New Glorified Body. The telling holes in His Hands and His Feet keep the Miracle fresh and irrefutable in their already blown-away little minds. 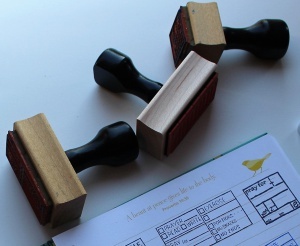 Appearing through locked doors and sharing meals with them when they least expect Him, these 40 days were fantastic… surreal even! 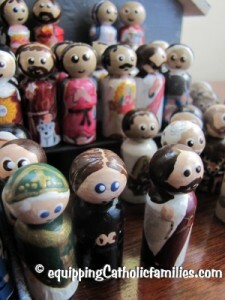 I bet those Apostles eagerly held on to each moment as tightly as they could! Then, they watch Him ascend into the Heavens! Surely no words could describe this vision! 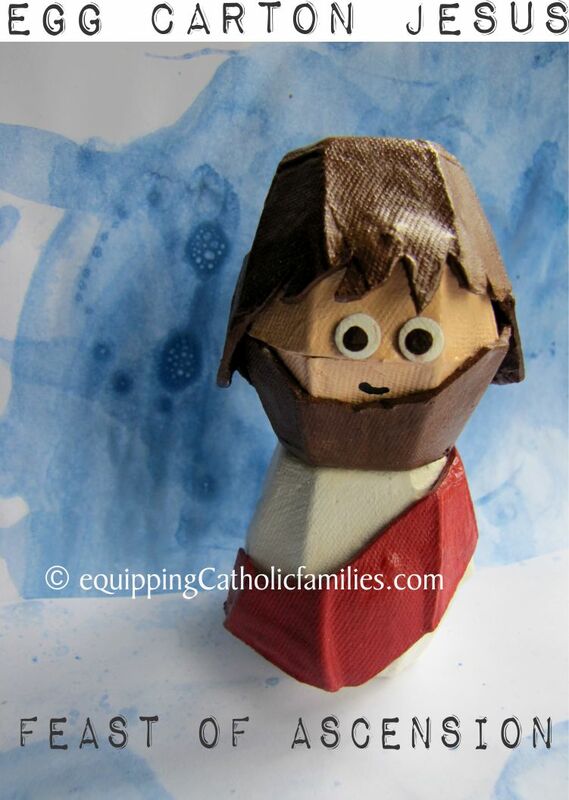 Happy for Jesus to be reunited with His Father, they no doubt feel the shock of devastating grief and loss as they try to fathom losing Him again! 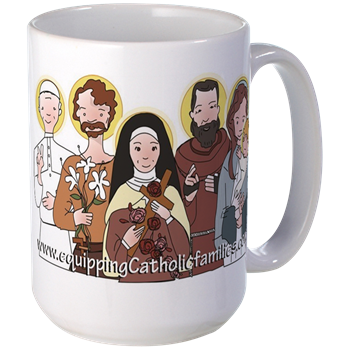 Not yet empowered by the Mighty Holy Spirit, they must have huddled together once again, praying the first Novena (before anyone had a name for the 9 days of concentrated prayer). 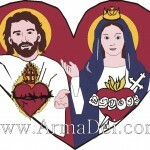 Little did they know of the Feast of Pentecost, the birthday of the Church! Welcome to Feast Day Fun: Ascension of our Lord! Last year, I made some Egg Carton Saints and I think Jesus turned out really cute! He fits right in with our Ascension decorations! 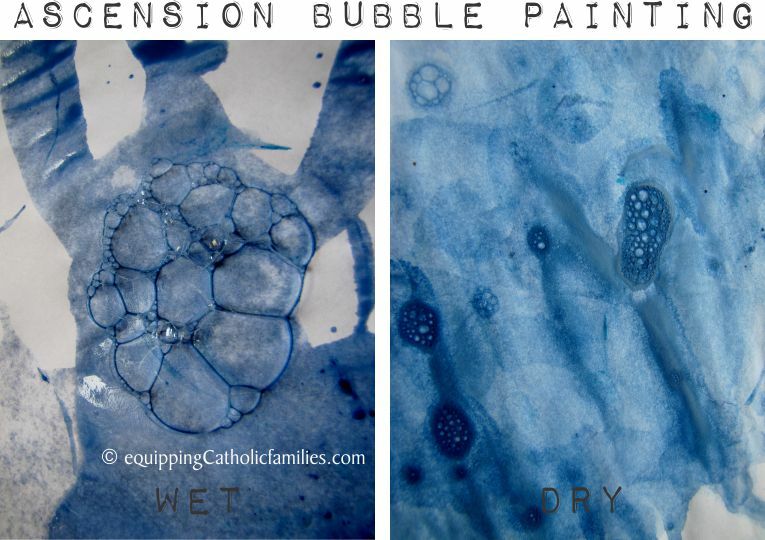 We tried our hand at Bubble Painting, but I don’t think we got the chemistry or the technique quite right. 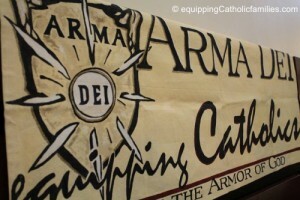 We might be better off trying Assumption Parfaits. 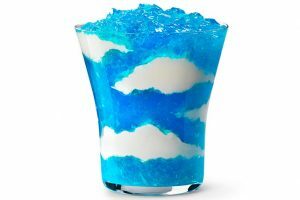 or this easy Jell-O Cloud Parfait Recipe from Kraft. 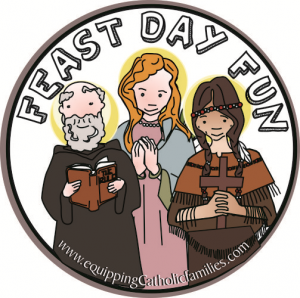 If you visit the Feast Day Fun: Assumption post, you’ll be inspired by these colorful desserts and the picture graciously provided to us by Jessica at Catholic Cuisine. 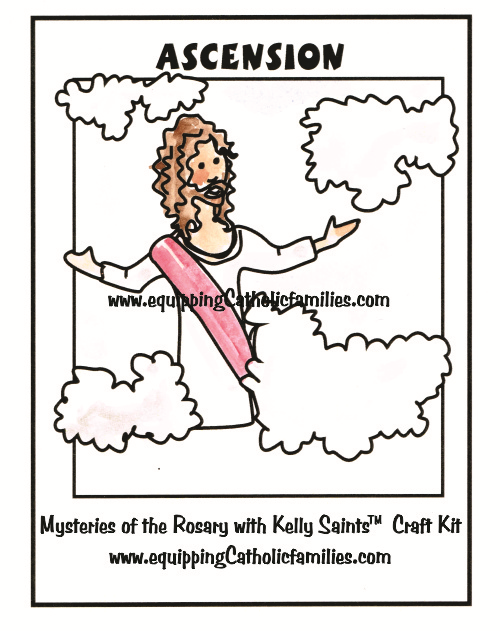 If you look up Ascension Crafts on Pinterest, you’ll also find lots of floating and flying Jesus crafts with cartoon Jesus disappearing into the clouds! 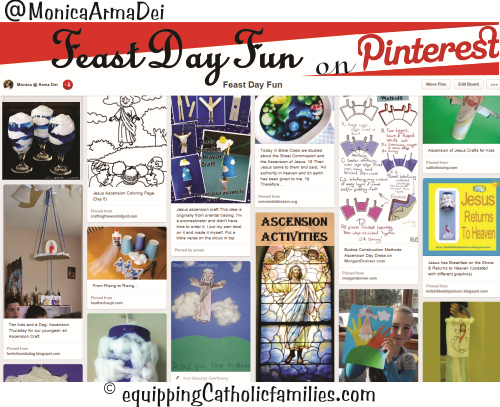 Actually…if you follow me on Pinterest…make sure that you are following my NEW Feast Day Fun Pinterest Board! It’s my brainstorming/researching board for Feast Day Fun! 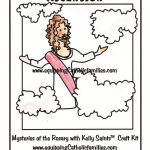 Pray the Rosary with your family…with special emphasis on the Glorious Mysteries! 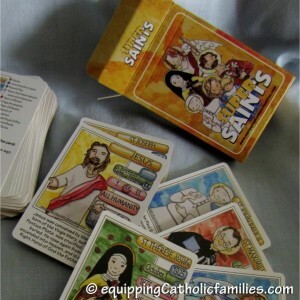 There is a new Cathletics Craft Kit at Arma Dei:Equipping Catholic Families! 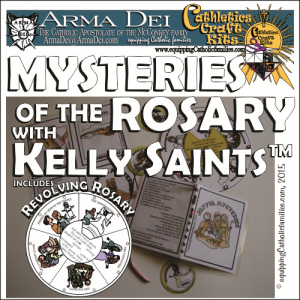 The Mysteries of the Rosary Craft Kit offers new ways to get kids excited about saying the Rosary and keeping the focus! 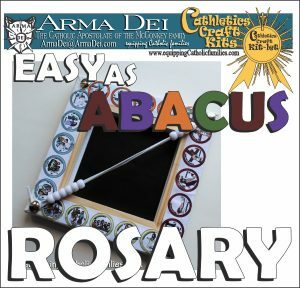 The Rosary Abacus keeps little fingers busy…both making the Abacus and praying the Rosary with it too! 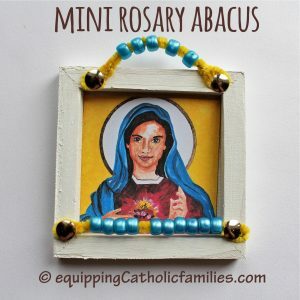 Here’s a little Picture Tutorial for the Mini Rosary Abacus! May 20th is the Feast of Pentecost: the BIRTHDAY of the Church! 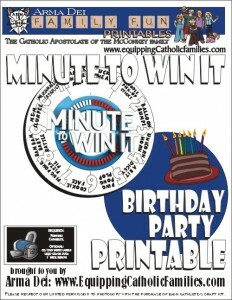 Check out the Holy Spirit Spinwheel craft kit for Pentecost! 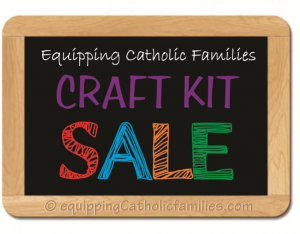 Check out the ﻿Directory of Catholic Home Businesses for future reference!